There is a friendly little wine bar close to our house we like to visit on occasion. They serve wine on tap. Apparently, this not only means no waste, but it means taking less of a toll on the environment; less transportation and manufacturing costs, less fuel emissions and no glass and corks heading to the landfill. Seattle is a very environmentally friendly city and needless to say wine on tap is a fair concept for most of us. Well, I prefer wine from an oak barrel. But then, I don’t go along for the wine, it’s the ambiance of the place and more importantly…the crispy roasted chickpeas they serve as an appetizer. Crispy roasted chickpeas is not a new idea, but a revisited idea. If you haven’t made them, do. If you have made them and it’s been awhile, do it again. I found a chickpea brand and was pleasantly surprised when I opened the can and found the skins were already taken off of them. 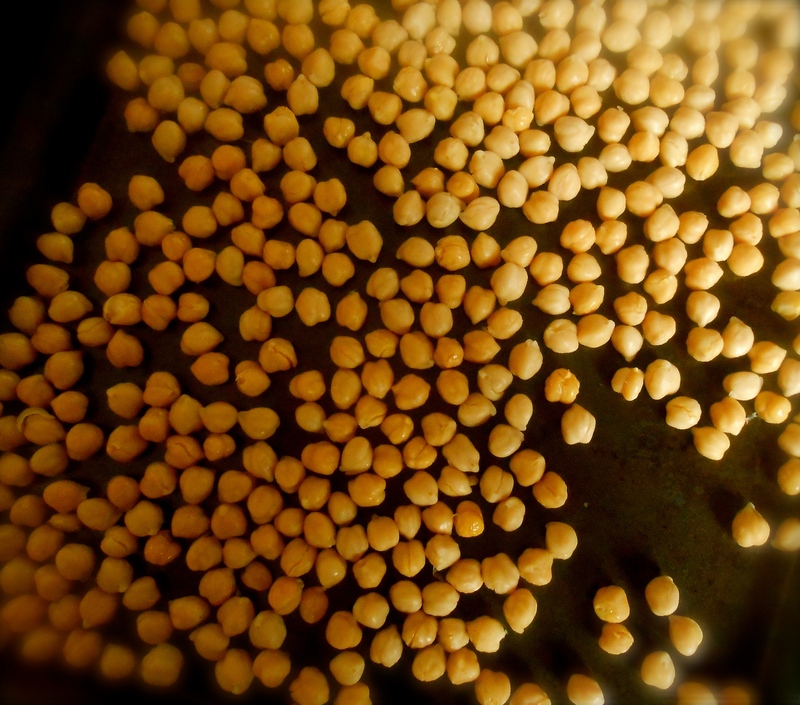 Otherwise, to easily remove the skin rub the chickpeas with your fingers in a bowl filled with water. The chickpea skins will float to the top, and you can pour them off to drain. You may use any spice you would like. Experiment! The first time I made these I used sweet smoked paprika and haven’t even considered using anything else. Here’s the recipe and be warned, you will not stop eating them once your start. Preheat the oven to 400° F. If you open your cans and find the skins on the chickpeas, place the chickpeas in a large bowl and fill with water. Rub the chickpeas with your fingers gently to remove the skins. The skins will float to the surface of the water, pour them off the side of the bowl. Drain the chickpeas and dry well with paper towels. Toss to coat the chickpeas with the olive oil, spices, and sea salt. Spread the chickpeas in a single layer on a baking sheet and roast for 30-40 minutes, shaking the pan halfway through, until golden and crispy. Enjoy right away while they are warm and crispy! Serves 4, as an appetizer. It is. The wine bar serves crispy kale too, as well as a fabulous cheese platter. Great appetizers with wine. ok – I’ve never made these. I think it’s about time! They are looking tasty. Me too! I can finish off a whole batch before I realize it! Perfect texture and flavor. I recently discovered smoked paprika and really like it. Sounds like it would be great on these. Do you mind if I ask which brand didn’t have the skin on the chick peas? Also, do these come out crunchy like potato chips? Just curious. I would love to try the recipe! Hi Shari. The brand I found was “Bush”. Hope you can find them too, it was nice to skip the step of removing the paper thin skins. They are not quit as hard and crunchy as a potato chip. Softer in the middle and crispy on the outside. Make sure to cook them for a good 40 minutes. One of the batches I made I took them out a little early and I prefer them a little more crisped. Also, if they start popping in the oven just turn you heat down a little. Hope you try them! Thank you so much for getting back to me about the brand. We do have Bush’s brand here in Arizona so I will have to get some. I appreciate the other helpful hints, too. Can’t wait to try these! Love love LOVE chickpeas. Have them in the house and definitely want to give these a try! Oh good Serena. Hope you toss a batch in the oven….now! They make a very good snack. Would love to hear how others like to spice them up too. Let me know if you make them differently, I’d love to hear. Here here! :) Hi Sandra! I know for a fact these are yummy. I had them before while on vacation. Didn’t know they were that easy to make. I’ll give this a try asap. Have you had roasted green/fresh chickpeas? Those are to die for! I wondered about roasting the fresh green ones. I am able to buy them…not yet, but when they are in the market I’m going to try it. Thank you for recommending it. OK, this is weird. Just yesterday took out a bag of chickpeas I’d cooked earlier, then frozen. Was jonesin’ for roasted chickpeas, and could not find the recipe I thought I had saved in a back issue of Fine Cooking. And now you’ve handed me one a lovely silver platter :-) Thanks! I LOVE roasted chickpeas! they’re so crunchy and moreish. It’s heaven. Yes they are moreish! Thank you for visiting Sarah, nice of you to stop by. I have some in the oven right now, had a can of chickpea’s that I opened and this is the perfect use for the rest of the can, YUM!!! Yep smoked paprika and sumac!! I am going to be snacking on them a lot, I love chickpea’s. You made my night. Isn’t it so satisfying to hear when one of your favorite bloggers actually makes what you post? Thank you Suzanne! It was perfect timing, plus looking for healthful snacks (on a diet) I love all of your recipes!! Yum Seana!! I promised Katie, Ryan, and their friend Matt that I’d cook at their house tomorrow night, and chick peas happen to be Katie’s favorite. I think it will be really cool to make these right before I start cooking, so that they can nibble on them while they wait for dinner! Awesome recipe! Hi Pru! So sweet of you to cook for them at their house! Fun! What are you making? I’m curious. The chickpeas, they will be a hit, make them for sure. They take a little while to crisp up (40 minutes at least) so, plan for that as your are cooking. :) Hope you are well. I’ve added the ingredients that I need for these awesome chickpeas, and cannot wait to surprise them with them!! I love roasted chickpeas! They are a great snack and I have recently seen them as croutons on soups and salads. Yes, great idea! I’ve used them as toppings too. Perfect snack. I find myself eating way too many, I can’t stop. It’s actually quite shameful. I go through so many cans of chickpeas and have never bothered to roast them like this. And I love spices, chickpeas and anything crunchy. Shall have to make amends! First time I made them, a few years back, I didn’t dry them off well enough and they didn’t crisp up so I tossed them in the trash. I didn’t try to make them again for a year. Actually made 4 cans of them over the course of last weekend! Can’t get enough of them right now. I have been, and remain, terrified of making these. Because I know that, if I did, I’d eat the whole batch in one sitting. Especially with smoked paprika which makes everything delicious. I’ve heard of these a few times, need to make these. Just pinned. I thought of using cumin seeds (my second favorite spice in the world) maybe next time I will. Imagine they are delicious with cumin and caraway. What a beautiful idea! that’s great! yeah I can easily imagine how fast they can disappear! Sounds good with garlic and onion Gilly. Seems like a perfectly good kid snack. My son loves them too! Wine on tap? I’ll need that by the weekend… and the chickpeas? I’ll darn well give them a bash too!! Awesome! Did they turn out? Shoot, no wine? Hope you made a run for it! Nah. No wine… but the chickpeas were cracking!! They’re going to hit my menu fee sure! That’s good news! They are really something, we made 4 batches in one weekend. I’ve always been curious to make these, we eat them by the bucketload purchased from our local market. Somehow I always imagined I’d need to use dried chickpeas. I have cans of chickpeas in the pantry so maybe this weekend. Yum! Do you think they’d also be good in a salad? Or do they go too crispy ? I haven’t served them to anyone except my family…hmmm, isn’t there a party I should take them to tomorrow? What a great idea for nibbles – I’ve never heard of crispy chick peas but will definitely be trying this weekend as I have people coming over for dinner. Thank you! Simply delicious, never had roasted chickpea instead of stewed or deep fried before, but it’s sounds irresistable healthier…. They are irresistible Dedy, give them a go and see what you think! I imagine they would be amazing with vinegar! Let me know if you try it and what you think. I’d love to hear. Crushed crispy and spicy chickpeas would be great sprinkled on stir fry noodles! Hmmm.. that does sound great! This is such a great Spanish style snack. I LOVE smoked paprika. LOVE. I do this too but combined them in a roasting tin in the oven with roasted veggies & I always make a mix! Yummm! Looks delicious– all that spicy crunch! You come up with the best ideas Seana! Thank you Rhonda! You are too kind. And yes, that spicy crunch is fabulous isn’t it! 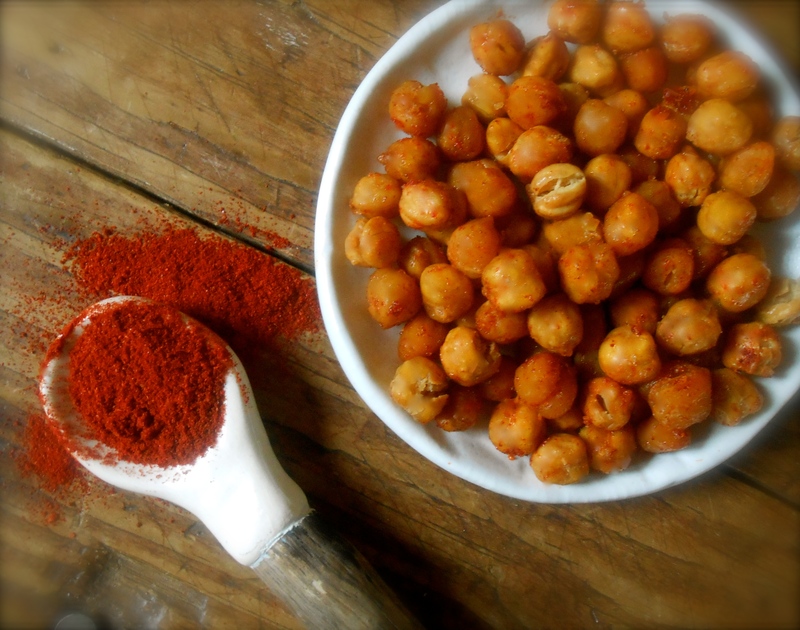 With several cans of chick peas left on my pantry shelf AND a can of smoked spanish paprika – I’ll be making these! Less than two weeks until I move and I’m determined to make my way through my pantry first! Have been meaning to make these forever. My boys like the store-bought variety in their lunchboxes. LOVE the idea of making our own and smokey paprika sounds like the perfect coating. I have all the ingredients in my cupboard! Hi Saskia. I’ve never seen these in the markets pre-made. I keep thinking what a great idea it would be to market these though. Especially at the local street markets. I think they would be a big seller! Hope you break open a few cans and roast some. I’d be interested to hear how they compare, especially your boys opinion. You are currently reading crispy roasted chickpeas at COTTAGE GROVE HOUSE.